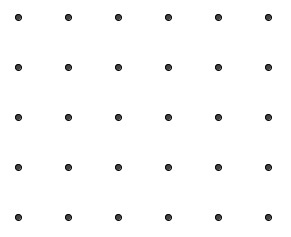 Given a 5×6 square grid. 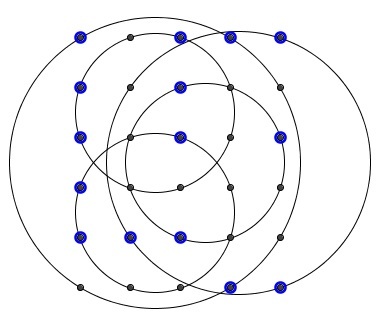 Find five circles so that they pass through each of the 30 grid points at least once. Are there other, essentially different solutions? This page is due to a suggestion by Alexandre Muñiz (on twitter) that the 5x5 puzzle has the extension to a 5x6 grid presented here.